I was off to get a key cut at the Home Depot in Manhatten near the Flatiron Building (5th Avenue & Broadway) When I happenned to see this view and had my trusty camera to take it. There it was! 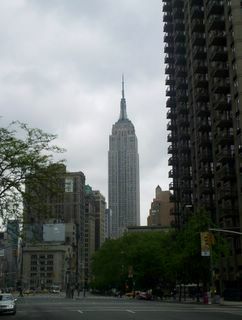 The Empire State building perfectly framed by 5th Avenue!